I got to use one of my favorite phrases while writing this week, “Rinse, wash and repeat”. 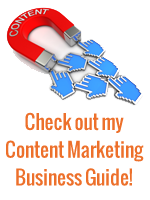 Find links to great content online, share them in my e-mail newsletters, schedule them as updates on my social media channels then rinse, wash and repeat. Write a blog post, create and schedule an e-mail newsletter, share the link on all the appropriate social media channels then rinse, wash and repeat. Try one or more content marketing tactics, see if they attract and convert your target customers then just keep rinsing, washing and repeating the ones that work. I have a dirty little secret when it comes to “Rinse, wash and repeat” (get it?). The truth is, I have a dirty little secret when it comes to “Rinse, wash and repeat” (get it?). You see, the best way to handle those tasks is automation and the best way to automate tasks these days is online software. I’ve committed to automating more! Unfortunately, things do not always go as planned.  I am a HUGE proponent of online software and I talk about it all the time over at www.mattaboutbusiness.com. However, when it comes to my own stuff, I tend to do automation sorta’ half-assed and that’s my secret shame. So, to better myself, I’ve committed to automating more! Unfortunately, things do not always go as planned. At the urging of Nicole Fende, my business development coach and book shepherd (yes, I am a writing sheep – baa), I’ve been trying to get up-and-running with a customer relationship management (CRM) system. The system I decided upon was Batchbook – it had the best mix of features and functionality for my needs and I’ve been pretty happy with it. One of its best features is how it enables me to BCC an email to a special address so that it is added as a communication record for a specific contact. Unfortunately, I didn’t read the fine print and, after sending more than two days of e-mails over there, I found out that it will only accept e-mails from an address that is listed in your own contact record. For a guy with 6 active e-mail addresses, this was not such good news. You guessed it – none of my e-mails had made it through. The good news is that after a lot of forwarding, my contact records are now up-to-date. Another automation challenge I faced this week was sending a group e-mail using mail merge. Now, that might not seem like such a big deal but remember: as a small at-home business guy, I don’t have an Exchange server or anything like that. Most of my group e-mails are sent via AWeber, but I discovered that it’s not so easy to just create a list and add folks. That’s for a good reason – to protect folks from SPAM, each time I added someone to the list, a confirmation message would be sent and I really did not want to bother the folks on my list with that. AWeber had a work-around, but it involves filling out a detailed form and frankly, I just did not have the time. So, I turned to Gmail and, after a bit of searching, found this really handy little walk-through online. After testing it a bit, I sent my group e-mail using mail merge – yay! I’m now convinced that half of the e-mails went to SPAM purgatory. Unfortunately, even though I had entered my business e-mail when creating the merge, Google sent all the e-mails from my Gmail address. One that the folks I was e-mailing did not know. I’m now convinced that half of the e-mails went to SPAM purgatory. Worse yet, my Gmail address was the ONE e-mail address that I had not added to my personal contact record in Batchbook (heck – I never use it! ), so none of the contact records in the system were updated. Yep – more forwarding. Never fear good readers – automation challenges aside, progress on the book moves steadily forward. How about you? Have you run into frustration when trying to automate something in your life? I use “Rinse, wash and repeat” to describe tasks that I have to do over and over and, while I’m committed to automating more, things do not always go as planned….